In this tutorial, we will learn another technique to manage the session. 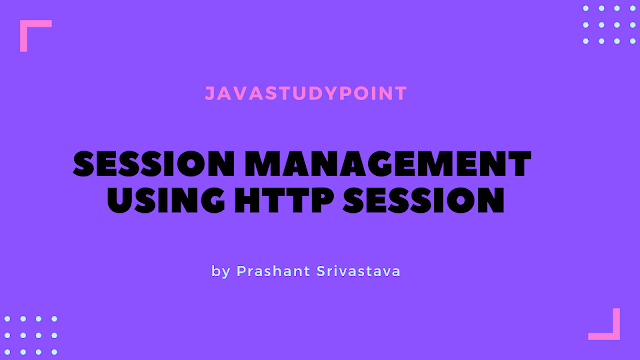 In the previous technique, we have learned session management using URL Rewriting Here we will learn the Fourth and last techniques HttpSession to manage the session. Before discussing this technique in details let's first understand about HttpSession. 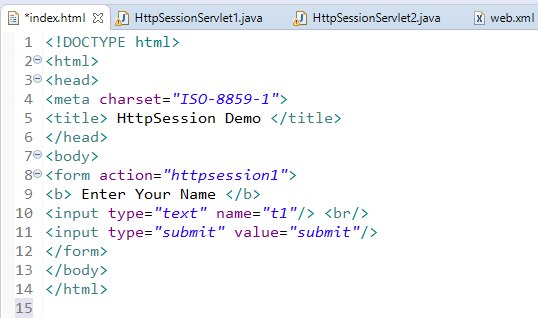 The HttpSession interface is implemented by the server. 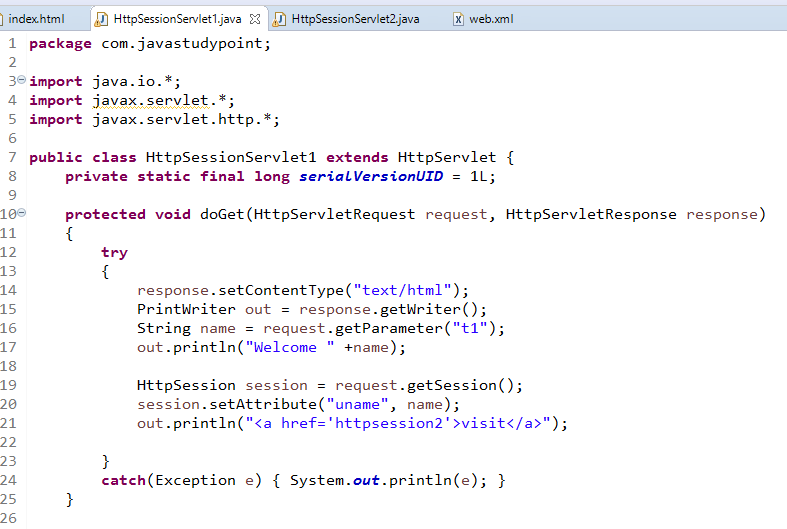 The servlet container uses this interface to create a session between the Http client and Http server. 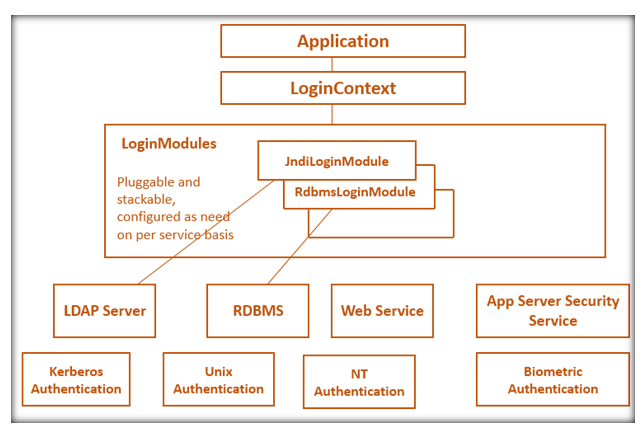 It enables a servlet to read and write the state information that is associated with an HttpSession. How to get a HttpSession Object? 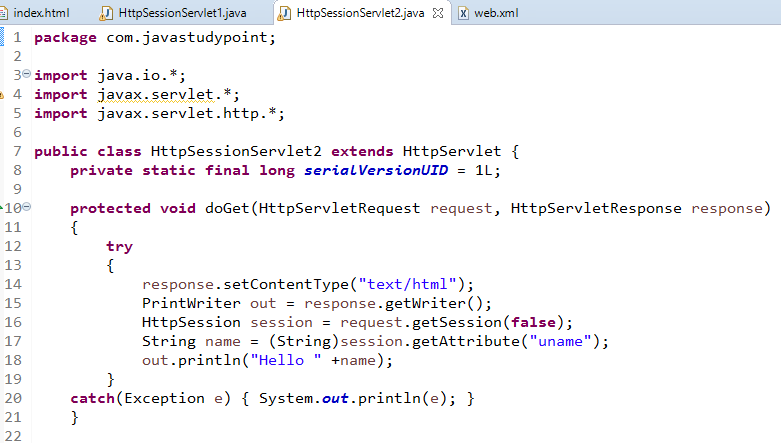 2) public HttpSession getSession(boolean create): This method return the HttpSession object. 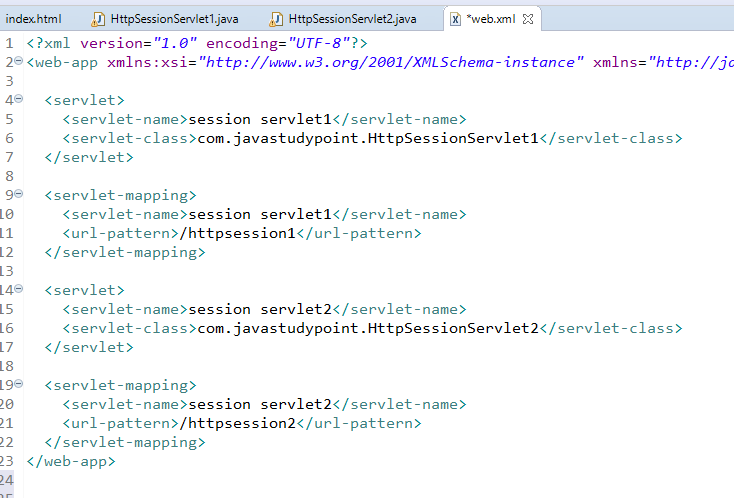 It returns HttpSession object if a request has session otherwise it returns null. In the left side, there are two clients and in the center, there is a container (web server). The first client sends the request to web server, the web server creates the SessionId for the first client and this Session Id send back to the first client. if the first client makes a further request for the second request the session id will be part of this request so the container can identify the particular user using the session id. 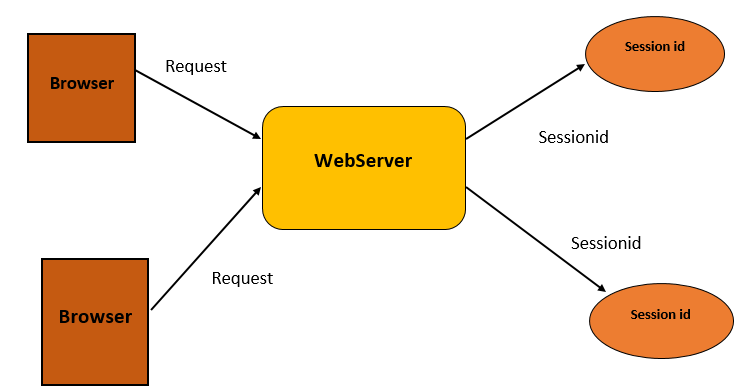 If the second client sends the request to a web server, the web server creates the sessionId for the second client and this Session Id send back to the second client. if the second client makes a further request for the second request the session id will be part of this request so the container can identify the particular user using the session id. It returns the time(in milliseconds since midnight,January 1,1970, GMT) when the session was created. It returns the session Id. Invalidates this session and removes it from the context. Returns true if the server created the session and it has not yet been accessed by the client. Associated the value passed in obj with the attribute name passed in str. It returns the time(in milisecond since midnight,january 1,1970,GMT)when the client last made a request for this session.